Jatiya Press Club President Muhammad Shafiqur Rahman, on behalf of all members, on Tuesday expressed sincere thanks and gratitude to Prime Minister Sheikh Hasina for promising in her party's election manifesto to construct the proposed 31-storey building of the club if Awami League comes to power again. "Bangabandhu had provided the land for the press club and you (PM) promised to build a 31-storey modern press club building when we drew your attention to this four years back. 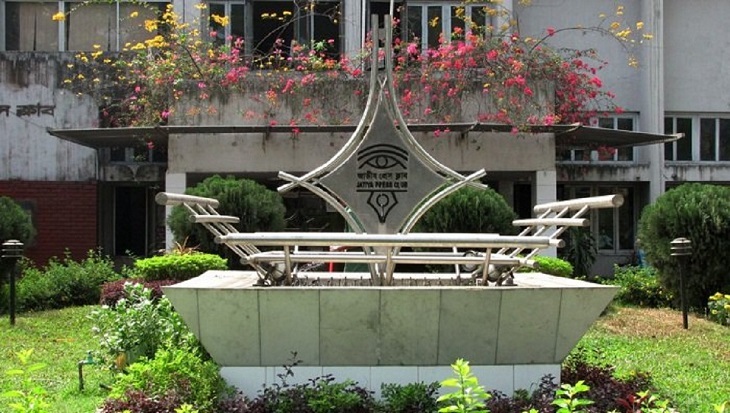 We named the building as 'Jatiya Press Club Bangabandhu Media Complex," he said in a statement. The JPC president described the prime minister as friendlier to journalists as she is people-friendly, said a press release. On October 20, 2016, Prime Minister Sheikh Hasina laid the foundation stone of the proposed building at a programme of the club marking its founding anniversary. As per the initial design, the facilities of the 31-storey tower include parking spaces for around 400 cars, cafeteria, more than one kitchens, more than two members' canteens, guestroom, lobby/lounge, president and secretary's rooms, office room, meeting room, audio visual, media centre, media museum, auditorium gymnasium, dormitory, guesthouse, swimming pool, prayer hall and banquet hall. Awami League unveiled its 21-point manifesto for the upcoming 11th parliamentary elections on Tuesday promising to ensure urban facilities in every village and use the potentials of youths for the progress of the country with the slogan - 'Bangladesh on the march towards prosperity'. Rolling out the manifesto, AL President Sheikh Hasina promised to construct the proposed 31-storey building of the Jatiya Press Club if her party wins the next election billed for December 30.